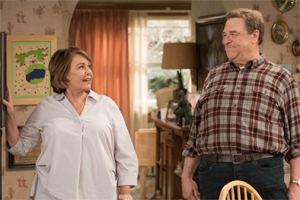 Showing 1 - 15 of 15 articles tagged "Splitting Up Together"
The 1972-set family comedy The Kids Are Alright is the fourth freshman ABC series to receive a full-season pickup. The Heroes alum will recur on the ABC comedy as "no-nonsense Paige, who Martin finds attractive and Lena finds intimidating. The Russian-born actor will guest on the ABC comedy as misogynistic handyman named Vlad.